How does the built environment reflect or reinforce cultural constructions of nature? 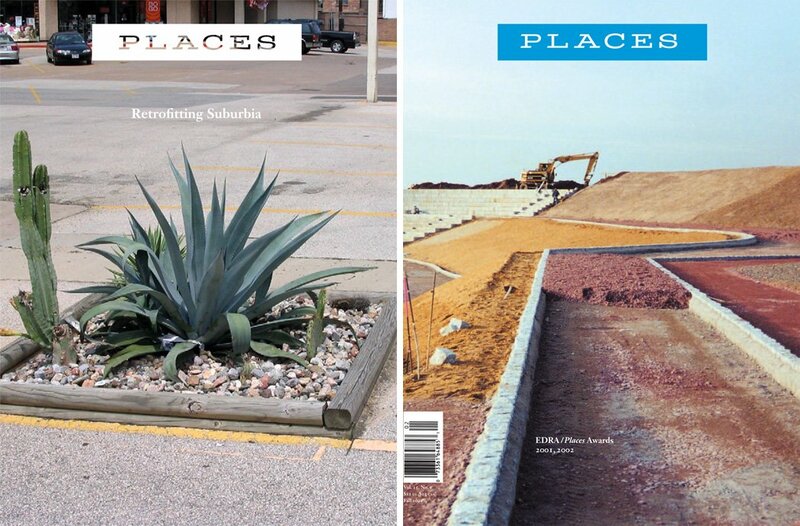 These readings consider how architecture positions people relative to the material world, and the ways that we think about the construction of buildings, landscapes, and ecosystems. Joel Sanders’s introduction to the book Groundwork: Between Landscape and Architecture, co-authored with Diana Balmori, includes a concise history of the cultural construction of the idea of nature. In Sanders’s synthesis of Western thought, nature is defined by its fundamental otherness. Depending on where you were standing in the 19th and 20th centuries, nature was savage, needing your protection, or might be your savior. From any of these vantages, the outside was a separate and secondary idea. In Groundwork, Sanders’s history of the idea of nature leaves off with the idea of ecological interconnectedness as a framework for design and as a foundation for the book’s case studies in the overlapping of buildings and their grounds. One of these case studies is R&Sie(n)’s I’m Lost in Paris, a verdant techno-cottage that flips greenhouse foliage to the outside of the building and to the inside of the urban courtyard. The result is a jarring juxtaposition of static concrete and of active photosynthesis, the manifestation of ecosystem thinking and also a perpetuation of the nature/city binary. The work of political theorist Jane Bennett in Vibrant Matter: A Political Ecology of Things leaves no space for such binaries. Here, Bennett offers an ontology in which material vitality — the fundamental forces in physical material that exist uninfluenced by human hierarchies and uninfluenced by human perception — governs absolutely. In this way of thinking, concrete, chlorophyll, and flesh are equal actors. Bennett’s work, along with other anthologies in New Materialism such as Dolphijn and van der Tuin’s New Materialism: Interviews and Cartographies and Iovino and Oppermann’s Material Ecocriticism, offer some context for 21st-century architectural work — David Gissen’s book Subnature, Maya Lin’s Bird Blind pavilion for the Confluence Project, SO-IL’s performance L’air pour l’air for the Chicago Architecture Biennale, and perhaps Anna Heringer’s Handmade School — in which attention to the nature of physical material governs and in which the primacy of the nature of that material undermines any culturally-constructed separations between the natural and the built.